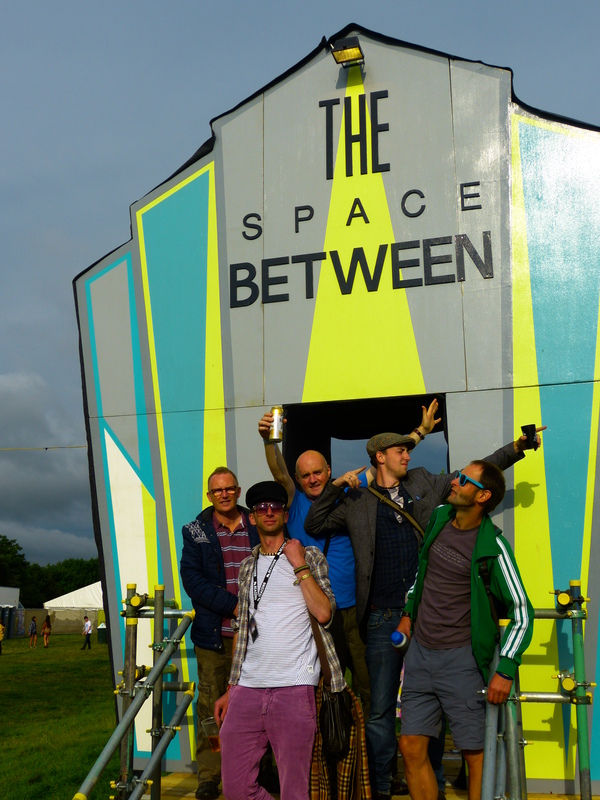 Back in 2013 we got wind of a little festival called Beacons at Funkirk Estate near Skipton on the Yorkshire Moors. We didn’t know too much about it other than a band called the Savages were playing. We did a bit more research and got ourselves booked in. 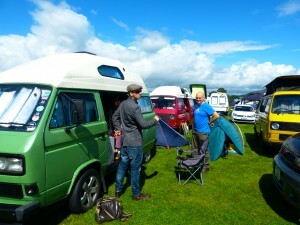 We took our VW vans along and had one of the best weekends on record. The festival was relatively small but it had an amazing blend of interesting arts things combined with some really well chosen acts that kept us entertained and amused from start to finish. After the success of last year, we decided that another trip was in order. Beacons isn’t quite like any other festival we’ve been to. It just seems to have that excellent blend of things happening, it’s really well thought out and planned. You never have to walk too far, queue too much or suffer some of the annoying things about festivals like overcrowding, overflowing, overpricing and other words prefixed by over. Weekend tickets can be picked up for less than £100 with early bird tickets for £60 for the 2015 festival sold out in no time. We booked the Friday off work, got our vans loaded up and headed toward Funkirk Estate. After the usual shenanigans with tickets and coloured gates, we managed to get into the arena just in time to see a blinding set from British Sea Power. BSP were performing their soundtrack to ‘From the Sea to the Land Beyond’. The film was shown on a big screen with the band facing the screen with their backs to the audience. It sounds weird but was a pretty amazing experience. The film itself is a real montage of 20th century coastal videos from a day at the seaside to marine warfare and the band reacted, rose and fell along with the film, which was really powerful and a great way to start the festival. The sun was shining, the bar was fully stocked, what could go wrong? Last year, it was possible to take a few of your own drinks into the Arts section of the festival but not the music area, which has its own bars including an excellent real ale tent. This year however, the two areas were merged and they seemed to be rigorously enforcing stopping people bringing in their own drinks. Last year the bar ranged from about £3.50 – £5 a pint depending on the strength – there are some amazing ales and ciders, but at £4 a pint this does get a bit pricey. The festival ticket prices however are kept down by the enforcing of this policy and you could also argue that this may minimise people getting too silly with the beer – it’s quite a sensible and family friendly festival. There is also a family field and kids activities including Diddy Rascals. The audience for the main part though are nice young people! On the Saturday, we spend much of the sunny day sat in the arts area. We were sat next to a makeshift, open air stage and every now and again, some expressive dancers would appear and do something amazing. There was a guy there with an art installation he’d made consisting of a huge silver megaphone and then suddenly a massive fairy would walk past or four ladies in spotted swimming costumes would appear dancing around to some old tunes. We also loved the Chicken Shop Shakespeare Company, who appeared as if by magic, dropped some contemporary Shakes on us and then left! It was wacky and brilliant at the same time. Quite a few of the bands were new to us again as we made some great new discoveries. We saw some interesting talks – for example, Dave Haslam interviewing three ladies from Manchester punk band Pins. We got the pleasure of seeing them play later on at the festival. Local lads from Leeds, Galaxians rocked Saturday night with an superb blend of 80’s electro. Amazing what two guys can do with a synth and drum machine – it truly was a joyous and exciting spectacle that really got the crowd excited. Darkside were also really entertaining and as they’ve since split up, could have been the last chance saloon. The dance tent provided great performances with first-class sound and visuals – the festival really caters to diverse tastes. We’d got lucky again with the weather, but it was the calm before the storm as old hurricane Bertha kicked in, adding a wet, wild and chilly feel to the festival. 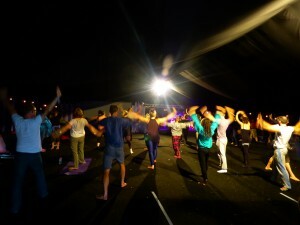 What better solution than to get up and do some Yoga in the morning in one of the Arts tents and then later attend some talks, bands and another Whisky Lounge! The Whisky Lounge were holding free tasting sessions with great talks about the joys of Whisky, so that made a great break between bands and arts. The winds and rain caused a bit of disruption with soggy tents and The Fall having to stop their set half way through due to high winds. 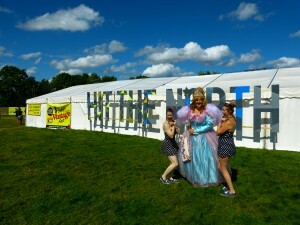 We were a bit concerned about the main tent lineup. We’d been really looking forward to Neneh Cherry – but she made an appearance and fair play to her as she is really scared of hurricanes! Neneh Cherry and Rocket Number 9 were one of the festival highlights for us. I’ve been a fan of Neneh since the 80’s and we were treated to an amazing array of new and old tunes with a new modern flavour – wow! We had a bit of an onslaught of wind and rain in the night, but surfaced unscathed on the Monday morning having survived the hurricane and another great Beacons Festival. It would have been hard to top 2013, but the 2014 festival had a good go, despite some drinks and weather issues, we had a great time and I am sure we’ll be back. Take a look at the video below for a quick look at this years festival highlights.